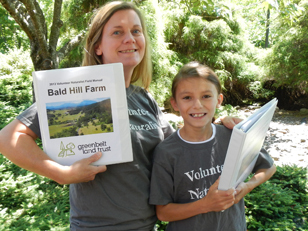 Volunteer Naturalists play a key role at Greenbelt Land Trust, as ambassadors, trail guides, and naturalist resources for our community at Bald Hill Farm. 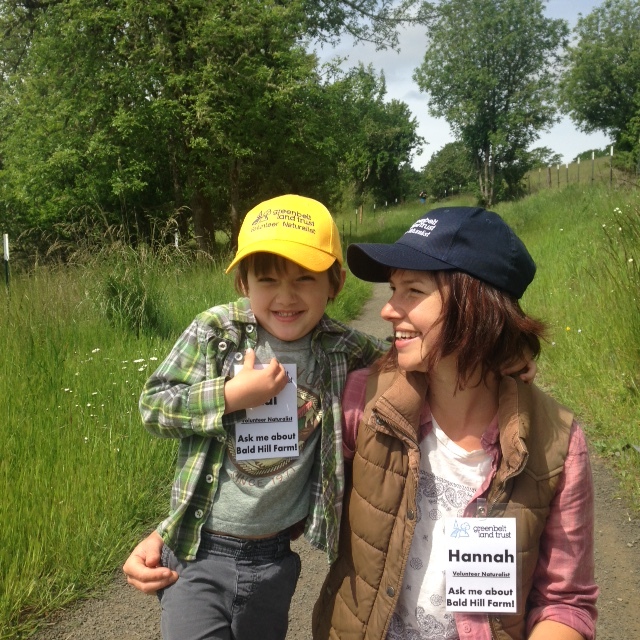 Volunteers are the heart of Greenbelt Land Trust! Two of our Volunteer Naturalists! 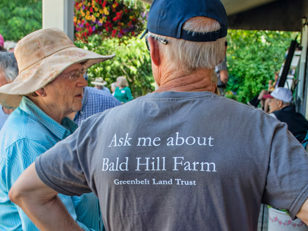 Be a friendly face for Greenbelt Land Trust on the trails at Bald Hill Farm, and sign up for shifts between April-September. Respond to visitor inquiries and direct questions or concerns to appropriate contacts. Stay current on upcoming management activities so you can communicate accurately with visitors. Assist with leading public walks at Bald Hill Farm and other Greenbelt properties. Opportunities also available to lead informal weekend ‘Walk with a Naturalist’ outings. Help monitor recreation uses and management issues. 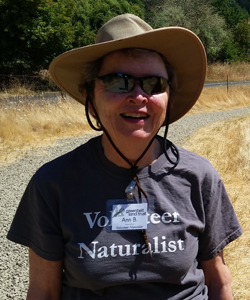 Enjoy being part of the ‘Volunteer Naturalist’ community! Ann Brodie, walking the trails! Hats, T-shirts, and Badges to ensure that trail users know who you are! 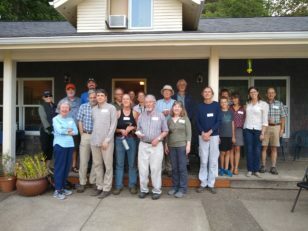 Volunteer Naturalist thank you event! We need your help! 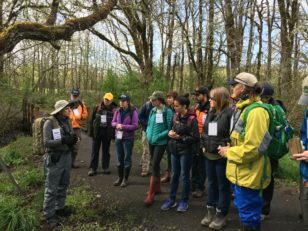 Interested in learning more about how you can become a 2019 Volunteer Naturalist? Why, simply sign up to learn more! *Volunteers under 18 need to be accompanied by a parent or legal guardian. Please enter someone who you would like to be contacted in the event of an emergency.